What features can help protect you against credit card fraud? The basics of credit card security are well known; don’t let anyone see you enter your pin, don’t share your pin number and, whatever you do, avoid letting your credit card get into the wrong hands. But, despite all your best efforts, you might find yourself the victim of credit card fraud or credit card theft. As the world marks International Fraud Awareness Week (13-19 November), Canstar takes a look at some of the credit card features designed to help protect shoppers against fraud. Various banks have what’s known as a, “credit card block” option, allowing you to temporarily block your card if you believe it might have gone walkabouts, or simply can’t remember if you accidentally left it at the dairy. ASB, for example, has a feature called ASB Card Control. You can temporarily lock your card using an app on your mobile phone, and unlock it again if it turns up in the side of your bag, after all. But, if you still can’t find it, then you can cancel and replace the card via the same Card Control app. Through the bank’s app, you can also turn off ATM withdrawals and set spending limits. Westpac also has a credit card blocking feature, called Card Blocker. This Westpac credit card function means shoppers can temporarily block their card through the Westpac One online banking system. However, credit card users should contact the bank if the card is gone for good, so the bank can cancel it and order a replacement. 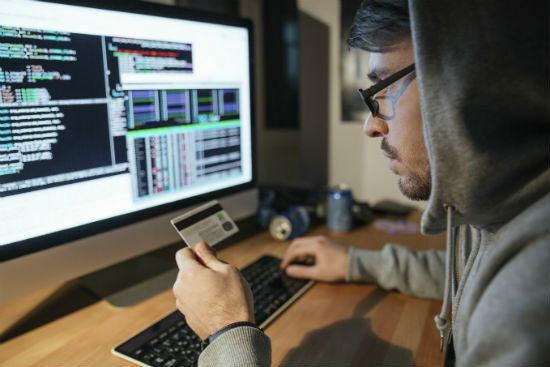 Banks’ credit card fraud teams keep an eye on your spending patterns, so they can pick up on any unusual spikes in credit card activity. This is why it’s a good idea to notify your bank if you’re about to go on a one-off holiday to Thailand, for example. You’ll be making transactions out of your country of residence, and, if you’re on holiday, you could be spending up a little bit more than usual. Banks will generally try to contact you if they notice any unusual spending. But, if they can’t get in touch, and they believe there is a high risk of fraud, then they may temporarily block the card. BNZ, for example, places a block on your credit card if they believe your card has been “compromised”. The level of block will depend on the location and how serious the compromise is, and may mean you are unable you make purchases in certain countries until a card is reissued. But, if you’re travelling overseas, you can even get a replacement card couriered to you. Credit card zero liability protection helps to safeguard credit card users against various credit-card related crimes. A zero liability credit card effectively means that your credit card issuer or financial institution won’t hold you responsible for money spent fraudulently or illegally in your name by others, and will reimburse you for any charges made to your card. However, zero liability only kicks in from the moment you notify your bank. Canstar has written a detailed guide on the differences between Mastercard and Visa zero liability policies. You can read more on that here. Also, the Banking Ombudsman reminds shoppers there are some situations where you shouldn’t expect a reimbursement – such as shopping it up while under the influence. In recent years, credit card companies have also introduced microchips, which make it difficult for credit card details to be fraudulently copied. Essentially, when a chip card is used at the point of sale, the chip sends a transaction message to authorise the transaction. But the message leaves out any specific data that could be used to counterfeit a chip or to make an unauthorised chip transaction by reusing the data from a previous transaction. 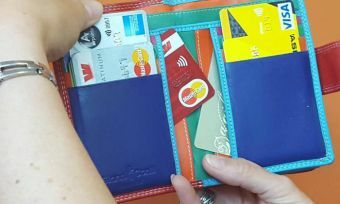 Making credit card transactions with contactless payment is becoming increasingly popular in New Zealand, and is available in more and more locations. Any card enabled with contactless payment technology means you can simply wave your card in front of the contactless payment reader to make a transaction – without having to enter a pin or sign. While this speeds up the transaction process, it does of course open the card up to misuse if the card gets into the wrong hands. Credit card companies have tried to minimise that risk by only allowing contactless payments for transactions $80 and under. Any transactions more expensive than that, you’ll have to enter a pin or provide a signature. Visa uses PayWave technology and MasterCard uses Paypass. Credit card companies and banks offer a wide range of security features to protect against fraudulent transactions. But, keep your eyes peeled for even more security features in the future, with Mastercard even promising credit card verification via heartbeat patterns, in the future. Don’t panic if you do happen to lose your credit card, Canstar breaks down what you need to do to get back up and running. And, when that new outfit is just a click of a mouse a way, we also have some tips on how to protect yourself when shopping online. Canstar is an information provider and in giving you product information Canstar is not making any suggestion or recommendation about a particular credit product. If you decided to apply for a credit card you will deal directly with a financial institution, and not with Canstar. Rates and product information should be confirmed with the relevant financial institution. For more information, read our detailed disclosure, important notes, and additional information. Shopping at Christmas: Do you shop online or in store?